Troubled by the increasing presence of Akhil Bharatiya Vidyarthi Parishad in campus, AISA and other leftist organization have stooped to hooliganism. Without any provocation, the AISA goons, who are also their office bearers, suddenly launched a serious physical assault on the female activists of ABVP at the vote counting centre opposite SL and SIS buildings at around 5:30 pm on 15th September, 2018. 1. Satrupa and Gitakumari of AISA tore the clothes of ABVP activist ku.Niharika. 2. 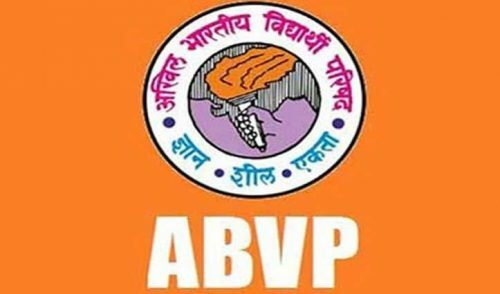 ABVP activists Sujal Yadav, ku.Shruti Agnihotri, ku.Janhavi Ojha, Omkar Srivastava, ku.Nidhi Tripathi, ku.Priyadarshini Rathore are admitted to Delhi’s Safdarjung Hospital after severe physical assault by Leftist goons. 4. ABVP activist and former JNUSU Joint Secretary Saurabh Sharma and other activists were cornered and beaten up near the vote counting center. 5. An atmosphere of fear and insecurity has been created in the JNU campus by AISA goons. 6. The AISA and its allies are still adamant about continuing with the counting process without presence of ABVP’s polling agents. Democracy in JNU under attack by the Left!